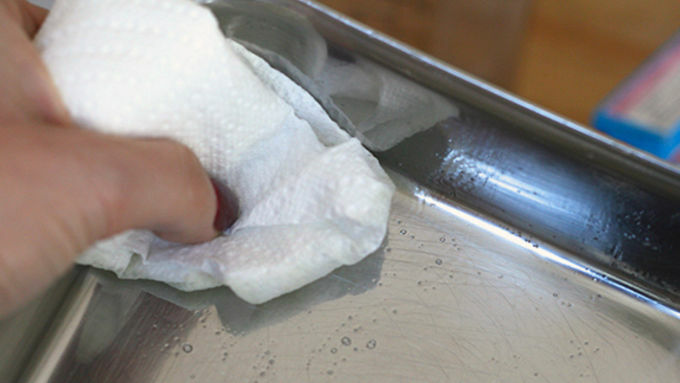 Lightly coat a small pan or dish with cooking spray, and then using a paper towel, wipe it out. This will leave a light residue to help unmold your shots, but it won't affect the taste. 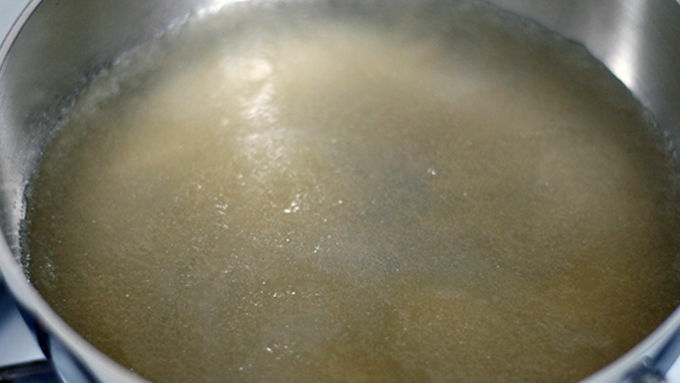 Pour 1/2 cup water into a small saucepan. Sprinkle 1 envelope of unflavored gelatin over the top and allow it to soak in a minute or two. (It will sort of look like applesauce.) Turn on the burner and heat over medium, stirring constantly, until gelatin dissolves. 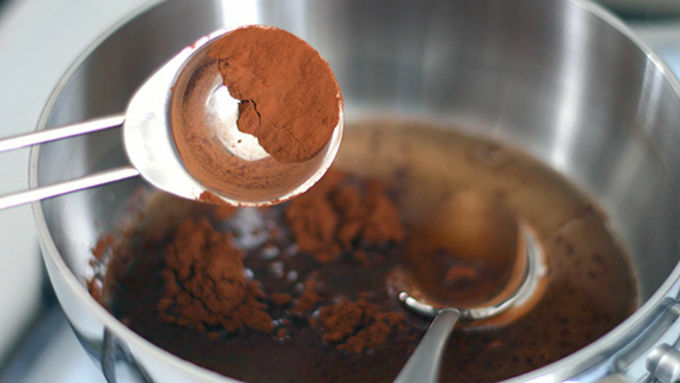 Add a tablespoon of unsweetened cocoa powder and stir until dissolved. Remove from heat and stir in 1-2 tablespoons sweetened condensed milk and 1/2 cup crème de cocoa and stir until thoroughly combined. Pour into prepared pan and refrigerate, allowing to set for 15-20 minutes. While chocolate layer is setting, make the two green layers. Pour 1 1/4 cup of water into a small saucepan and sprinkle with 2 packets unflavored gelatin and allow to soak in a minute or two. Turn on the burner and heat over medium, stirring constantly, until gelatin dissolves. Add 1-2 tablespoons of sugar and stir until it dissolves (sugar is optional, but it helps mellow the mint a bit). Remove from heat and stir in 1/2 cup of crème de menthe. 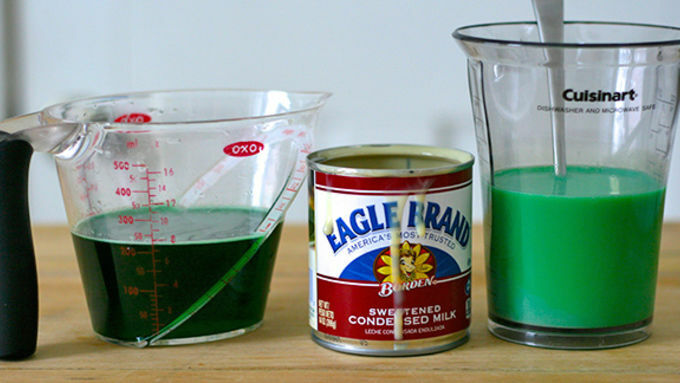 Pour 1 cup of the green liquid into a separate container. To the remaining mixture (about 1/2 of a cup), add about 1/4 cup sweetened condensed milk. You should have a bright green layer and a creamy green layer, both approximately a cup. Allow both to cool to room temperature. Once chocolate layer has just set (enough where you could lightly touch the surface), add the creamy mint layer. Return to the refrigerator for another 15 minutes until that layer is just barely set. Add the final mint layer and allow to set at least 4 hours (or preferably overnight). When you're ready to serve, gently pull the edges away from the pan and invert onto a cutting board. Slice into even squares. Top with crumbled chocolate cookies and whipped cream, if desired. 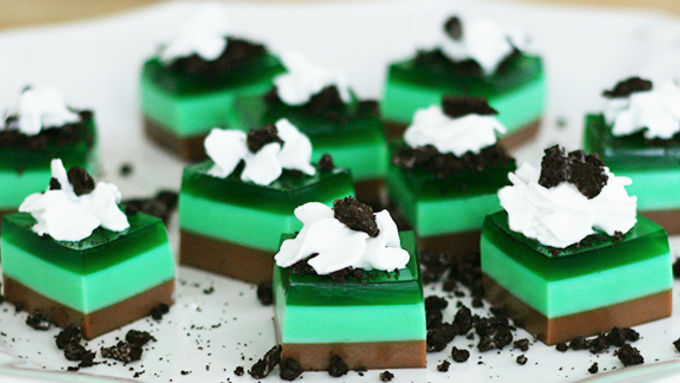 These Thin Mint Jelly Shots take the classic cookie and give it a fun boozy twist. I have a confession to make. It’s kind of serious. You sure you’re ready? Here goes ... I hate chocolate and mint together. (dun dun DUNNNNN!) I love chocolate separately (duh), and mint ... well, it’s not my favorite but I don’t hate it. However, get them together and I run the other direction. I realize I'm in the minority in this situation, especially come Girl Scout cookie time. Everyone and their mom can’t get enough of the Thin Mint cookie. I fall more into the Tagalong or Do-si-do camp, but I would venture to say that most of America grabs for the little green box. But see, I’m not a selfish person. Just because I don’t enjoy the little mint-chocolate treats doesn’t mean I should deny the world a jelly shot version of the popular flavor combo. And so, I present to you ... 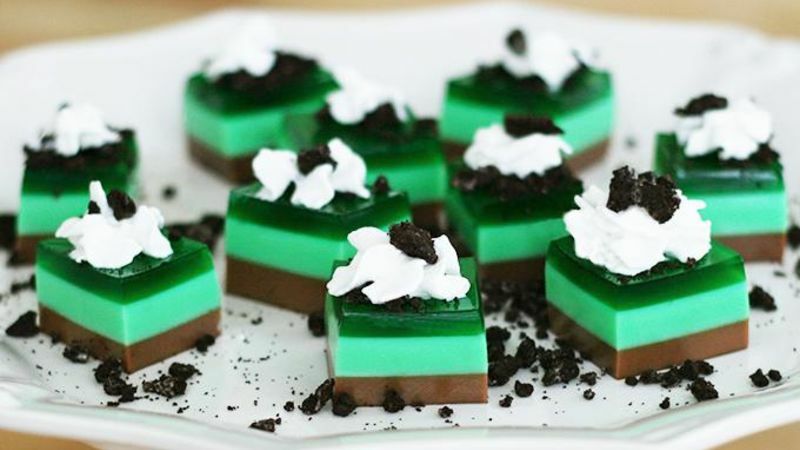 Thin Mint Jelly Shots! I find homemade whipped cream generally lasts a little longer before the melting starts. If using homemade, use a piping bag. Otherwise, you can always use the canned variety. Another option would be piping vanilla frosting onto the shots.